My name is Brendan Leigh, MS, RN and I’m a Registered Nurse in Austin, Texas specializing in PicoSure laser tattoo removal. I’ve seen every kind of attempt to remove and fade tattoo ink: excision, semi-permanent pigment covers, tattoo cover-ups, fade creams, injections and salt treatments, and of course plain old POS Q-switched lasers, which often scar and permanently damage the skin while leaving noticeable ink remnants. Every day, I see tattoos that patients are desperately trying to completely remove or, in some cases, fade for a new cover up. AustinPicoSure.com is a personal blog about my experiences treating and removing tattoos. I’ll also try to answer your questions so please submit as many as you like. 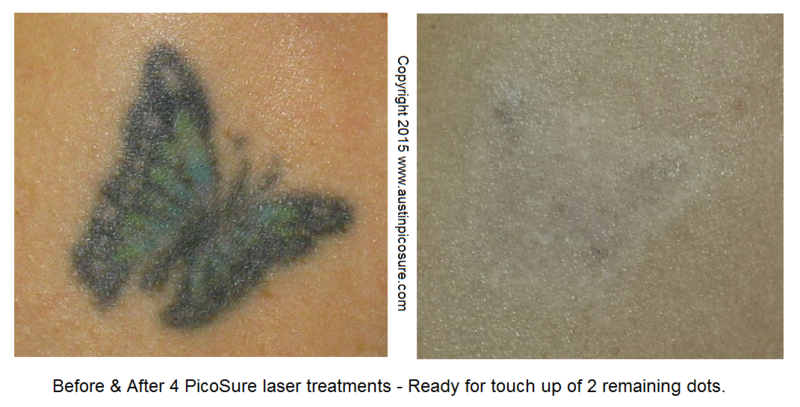 I have physicians from all over the world contacting me regularly, asking for my advice on how best to apply the PicoSure laser to remove various unique tattoos. Every tattoo and individual is unique so each treatment must be customized and tailored to the situation. Some folks simply want to fade a tattoo for cover up artwork while others want to become totally tattoo-free. Either way, I’m Austin’s most experienced & lowest cost PicoSure provider and several of my patients have been featured in PicoSure ads. I work out of a state-of-the-art plastic surgery center conveniently located on the west side of town. If you have a tattoo you would like to professionally remove via PicoSure, I can be reached by phone @ 512-479-9997 or just stop by my NEW location in Austin, TX: Austin Medspa on W. 6th St.